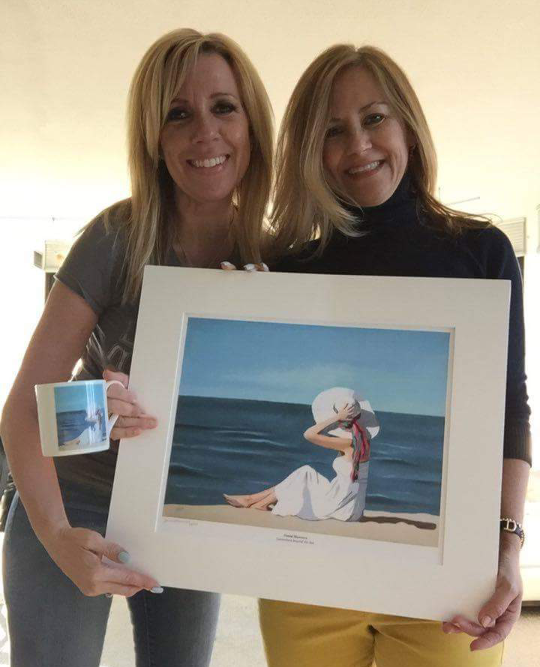 The print of “Somewhere beyond the Sea” has been delivered to its new owners in Chicago, sisters Jacqueline Taylor Ondras and Maria Ellis after a year of trying to identify me as the artist. They saw the print online, but couldn’t remember my name until now. The print has huge sentimental importance as Maria’s late fiance adored the song of the same name . It’s lovely to be able to help out and we’re hoping to meet up in Chicago on my next visit.